When should you buy a band sealer? 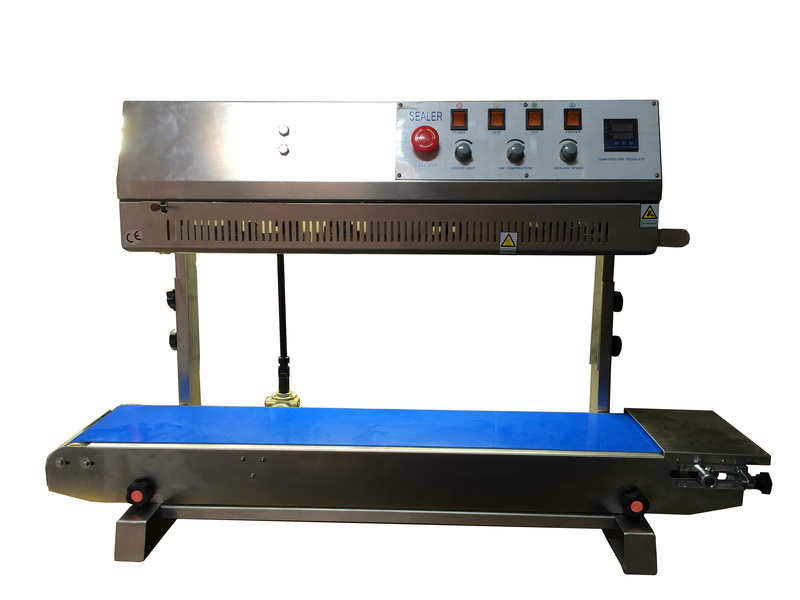 If you are finding that a hand or foot sealer cannot meet your production needs, a band sealer may be the right option for you. Band Sealers will seal and convey your bags via constant heat. Take a look at our video of how a band sealer works. Q: Do you already have your bag? A: Make sure you have your bag before looking at sealers. The bag material will determine what sealer will work. Q: Should you purchase a band sealer? A: Our band sealers can seal materials 3mil-10mil meaning band sealers will seal just about any thermoplastic material including PE, PPE, stand up pouches, gusseted bags (used for coffee and tea), and moisture barrier bags. Because bags are placed on a conveyor system, the width of the bag does not matter. 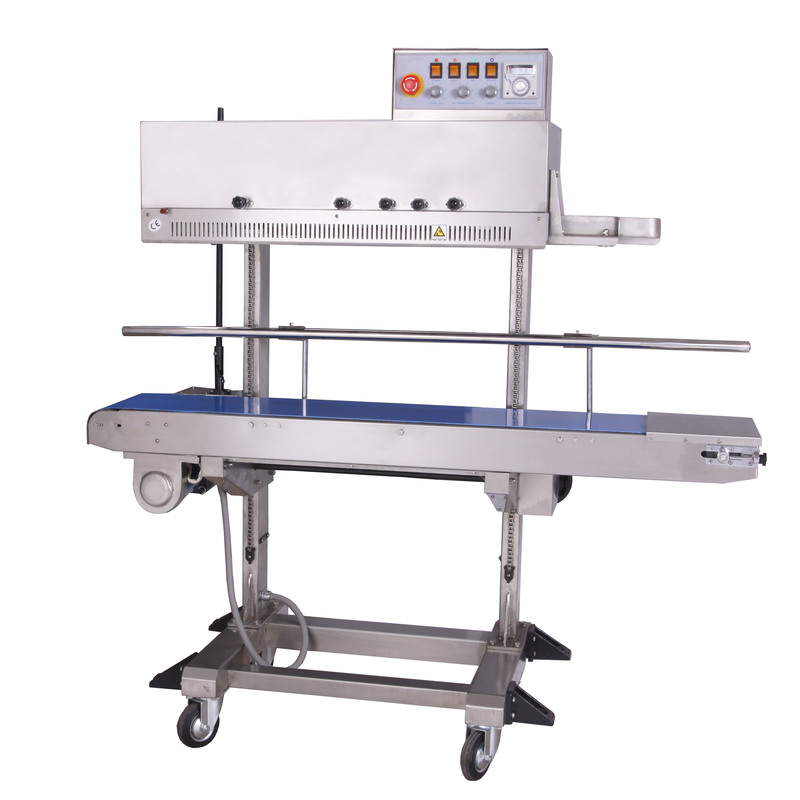 If you are looking for increased efficiency in your packaging process, then we recommend looking into a band sealer. Q: What is the difference between a horizontal and vertical model? A: Vertical band sealers typically seal small solid products (ex: powders, grains, coffee) and liquids. 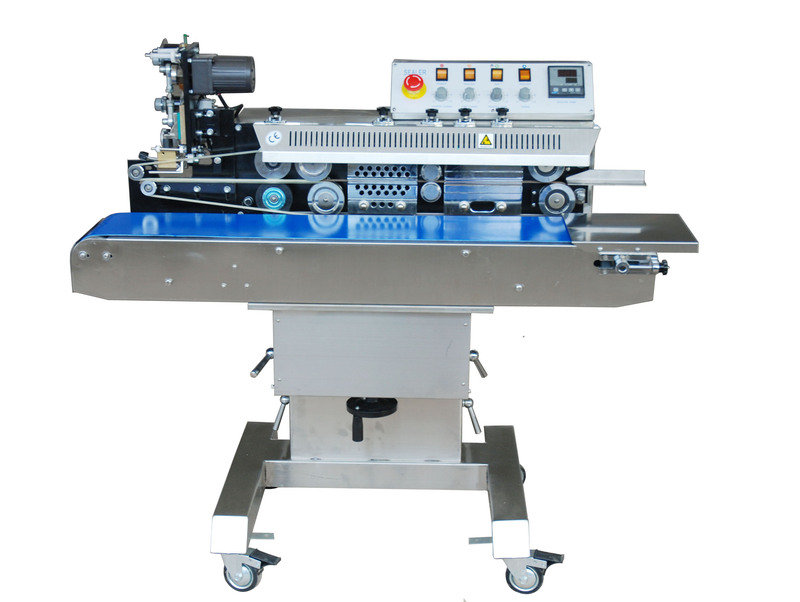 In addition, if your customer will be packaging his/her product using a stand up pouch, a vertical band sealer will work best. Horizontal models work best when you can lay flat your pouch. Q: Do you want any printing on your bags? Dry-coding vs. embossing? A: Our band sealers have the ability to emboss or dry ink code bags. Embossing continually embosses characters directly on the bag. Embossing shows up best on foil bags. Dry ink coding prints using a roller with heat activated ink transfers. Q: Is there a preference of production running right to left or left to right? A: Our band sealers can seal in a right to left direction or left to right direction. Choose the right sealer based on your preferences.